Looking for Learning Korean PDF Lessons? Here you will find a growing collection of free lessons on vocabulary words, grammar, hangul, adjectives, and more. Just click on the links to download the PDFs for free or right click & save as to save to your computer. PDFs are awesome because they’re eBooks. Save them to your phone/device and read. 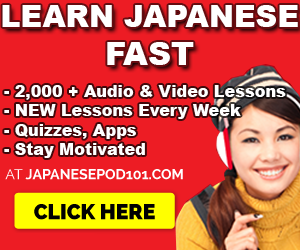 Want Korean Audio & MP3 Lessons? Click here. 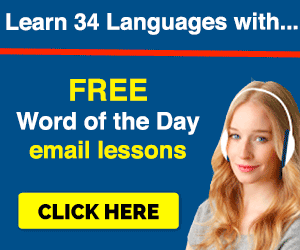 Want a full Korean language learning program/course? Try KoreanClass101 here. 1) How to Learn Korean: A Guide for Beginners ONLY. This is a BEGINNER’S guide to learning Korean. More so, advice, best practices, how NOT to fail and everything you will understand WHEN you’re fluent… and wish you knew earlier. Best if reviewed as much as possible. These rules need to be drilled into your head. 2) Korean PDF Lesson Cheat Sheets. This is a great collection of Korean PDF Lessons and cheats. They cover various topics such as romance, talking to family, business Korean and much more. 3) Learn Korean Hangul (Alphabet) in 1 Hour PDF. This is a guide on how you can learn Hangul in 1 hour. Follow step by step and you well master all of the consonants and vowels. This does not include combinations. Perfect for beginners that want to get started. 4) Learn Korean Questions PDF. What are the basic questions you need to know for Korean conversations? You’ll learn them here with the English translation and the romanized versions. Read along, print out. Great for beginners. 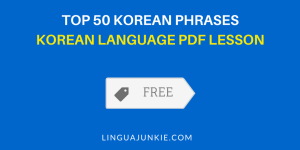 5) Top 50 Korean Phrases PDF. 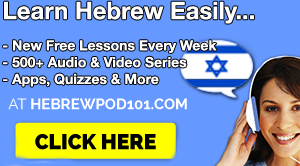 This lesson has the basic phrases (and some REALLY interesting ones) that you’d want to know. All the basics from introducing yourself to crazy ones. Read along, print out and learn more Korean. This includes the Korean, English Translations & the Romanized version – easy to understand. This lesson is GOLD for Beginner learners. People pay money for books with this. It’s also a WASTE of time for anyone not TRYING to learn Korean. As mentioned up top, study a few words a day and you will quickly master them all. Want to learn some conversations? 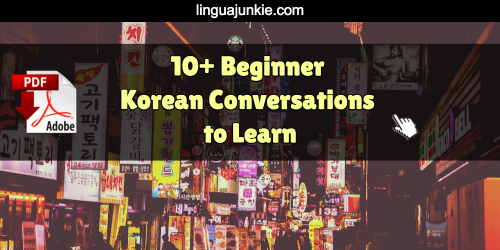 This Korean PDF Lesson gives you 10 beginner level conversations that you can master. English translations are included. More learning Korean PDF lessons coming soon! Like these? Want to see something else? Or need something explained? P.S. 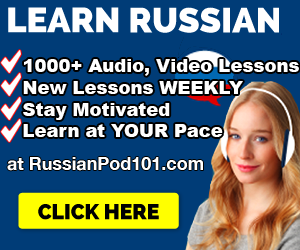 I recommend this for Korean Learners – if you want to REALLY learn Korean with Audio & Video lessons from real teachers, be sure to check out KoreanClass101.com and click here.